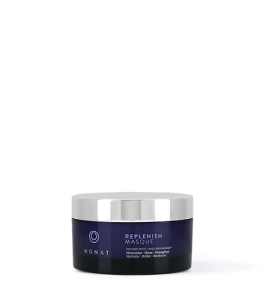 Helps increase brilliance, strength and vitality. 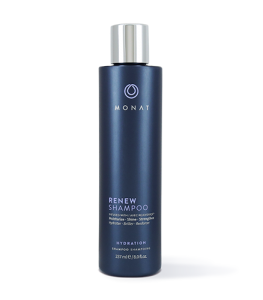 To learn more about Restore Leave-In Conditioner, please contact your MONAT Market Partner. Strong meets silky in this must-have addition to your hair regimen. Packing an extra punch of moisture, our nourishing Restore Leave-In Conditioner will replenish the scalp with its essential nutrients, while boosting natural hair growth and follicle strength. A true multi-tasker, it can be used on wet or dry hair to tame those pesky frizzies and flyaways. Apply evenly to wet hair, comb through and style as usual. As a finisher and for added conditioning, apply on dry hair. 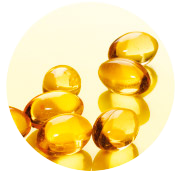 Digitata Oil, Mauritia Flexuosa Fruit Oil, Cocos Nucifera (Coconut) Oil, Gardenia Tahitensis Flower Extract, Moringa Oleifera Seed Oil, Caryocar Brasiliense Fruit Oil, Helianthus Annuus (Sunflower) Seed Oil, Glycerin, Dextran, Tocopherol, Citric Acid, Hydrolyzed Wheat Protein, Myristyl Myristate, Behentrimonium Chloride, Propanediol, Fragrance, Butylene Glycol, Amodimethicone, Trideceth-12, Cetrimonium Chloride, Phenethyl Alcohol, Undecyl Alcohol, Benzyl Alcohol.